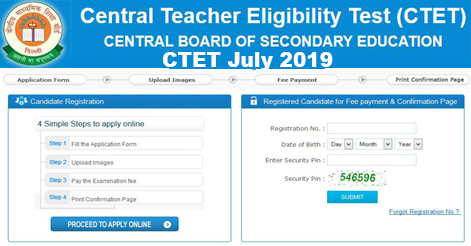 Central Board of Secondary Education, Delhi (Central Teacher Eligibility Test) invites online applications from eligible candidates inspiring to become a teacher through the Central Teacher Eligibility Test (CTET) 2019. CBSE Delhi will be conducting the Central Teacher Eligibility Test (CTET) for a person who is eligible can apply for this post. Candidates can apply only On-line for CTET – July 2019 from 05 February to 05 March 2019. The CTET shall apply to schools of the Central Government (KVS, NVS, Tibetan Schools, etc.) and schools under the Administrative Control of UT of Chandigarh, Andaman & Nicobar Islands, Lakshadweep, Daman & Diu, Dadra & Nagar Haveli and NCT of Delhi. CTET may also apply to the unaided private schools, who may exercise the option of considering the CTET. Senior Secondary (equivalent) with at least 50% marks and passed or appearing in final year of 2- year Diploma in Elementary Education. Senior Secondary (equivalent) with at least 45% marks and passed or appearing in final year of 2- year Diploma in Elementary Education, in accordance with the NCTE. Senior Secondary (equivalent) with at least 50% marks and passed or appearing in final year of 4- year Bachelor of Elementary Education (B.El.Ed). Senior Secondary (equivalent) with at least 50% marks and passed or appearing in final year of 2- year Diploma in Education. Graduation and passed or appearing in final year of 2-year Diploma in Elementary Education. Graduation with at least 50% marks and passed or appearing in 1-year B.Ed. Payment by Syndicate Bank e-challan. Payment by Canara Bank e-challan. Interested Candidates may apply online through the official website i.e. www.ctet.nic.in from 05 Feb to 05 March 2019. The candidate should supply all details while filling the Online Form and upload their scanned images of the latest photograph & signature. After successful submission of data and requisite fee, Candidates are required to take the printout of Confirmation Page. Help us to improve this article/job posting "Central Teacher Eligibility Test (CTET) July 2019 Notification". We would be glad if you can comment below and provide your valuable suggestions and feedback. If this page have any wrong information/list or out of context content, then you can report us as well. I am Post Graduate in Political Science but not having B.Ed E.T.T. 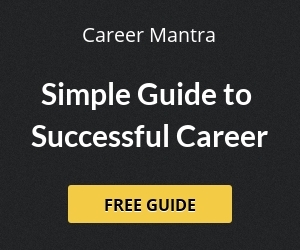 Am I eligible for CTET without B.ED? kindly confirm that ctet-2 qualified candidates in recruitment of junior teachers in Uttar Pradesh ? Please reply If aandidates qualify in CTET-2 exam then he can particiapate in recruitment of Junior Teachers(VI-VIII) in Uttar Pradesh.